Christopher Nolan's amazing film Inception presented an interesting idea. A world where we could use science to probe into the minds of others and explore their dreams in order to find information we want. 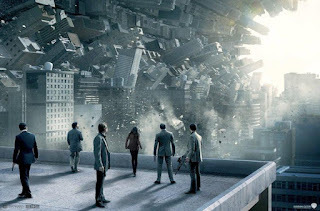 The “heroes” of the film are contracted to engage in an act of inception, a theoretical technique of implanting an idea in someone's dreams so that they believe it is their own idea rather than an idea with foreign origin. Most people working in their field, and most people in general assume this is impossible, but the main character, essentially a psychonaut, has explored the deepest depths of the unconscious mind and its dreamscapes and understands inception not simply as a theoretical reality but as a possible act which he has previously achieved. This film presents some ideas of interest for us as magicians. Is it possible to take information from the mind of another? To explore their dreams? To implant an idea into their minds? What are the implications of these various possibilities, which very much seem at the center of sci-fi and fantasy fiction regarding magic and psychic powers? As a boy, the first witchcraft my father taught me, and the act which I think is central to witchcraft, was that of bewitchment, or enchanting a person or animal by gaze in order to affect them. One of the first books I read on witchcraft as an adolescent talked about this idea and called it “mind bending” and described methods for inserting small ideas into people's minds. For the most part most books on witchcraft and magic don't really address this idea though. I am, perhaps sadly, not going to focus directly on the simple method of doing this today, but rather some ideas around magic intended to impact others. Visiting dreams comes up in some traditional sources. It can go hand in hand with both pulling information or putting thoughts into someone's mind, in a fairly intimate way. Some elements of dream travel connect to some of the ideas we're going to discuss about influence. We're also not going to get too much into the mechanism of entering dreams though, at least not today. We're also not going to talk much about taking info from someone's mind, as in my experience, it's the hardest of these three things...and it's not really part of today's topic, which is about sensibly constructing an approach to affect others by moving past their resistance to the goal presented. My mentor once wrote about becoming the historian and its usefulness for a magician. What he meant by this was that by attending to details and remembering the specifics of all manner of events with a high level of consistency people will rely on your ability to recount events. People will trust your memory of what happened, perhaps more than their own. There are several sources of power in this. One is growing an understanding of the movements and currents which shape events by seeing details and learning patterns. This can then be used to shape events by making decisions about what to do, or what to manipulate as events unfold. It also creates a position of influence in which you can shape the way people remember events as they begin to accept your knowledge of them more than their own. You can usually only subtly shape their view of what's happening, and your shaping has to prove out in a way that matches to the way events continue to unfold. With this can also come a level of trust in your ability to interpret situations. Creating this sense of being an authority and what has happened and what will happen trains people to accept your thoughts and ideas with less resistance. Now this isn't simply a matter of creating a position where you can lie to people, although some people may use it as such. It can be a position where you can inspire and direct even if you focus on using true things that people may see or not see on their own. The essential component is overcoming the initial instinctual response to resist those things another person suggests. While this might sound like social engineering...and on a level it is, there is a magical component to this as well. Your voice, your presence, even on a magical level, have a certain feeling to them. Even non-magicians will have a sense of that. If that voice or presence is one they accept then creating some sort of inspiration is easier because they are willing to accept that influence. Willingness is another component. Not just being a force they recognize and accept, but allowing the opportunity to consent to influence. Draja Mickaharic in his works on magical and mental influence provides the advice that you should ask the mind to permit you to enter it. If you're trying to connect to someone through dreams, or trying to sense some information from them or impress some thought upon them, it becomes much easier if their mind gives you permission. Your mind simply has to take a moment and ask. Not to get all chaos magic...but the parts of the mind being approached in this kind of work are not the conscious persona of the individual so much as unconscious and pre-conscious elements and therefore there is not the individualistic decision to retain a pure mental space. A gentle “hey can I come in?” makes it a lot easier to interact with someone than trying to force your way in and fight any resistance they have to thoughts and ideas that feel foreign. Not feeling foreign can help too. Think about how that person feels when you interact with them. Think about their voice, not just its sound but its feeling, how they speak, what they say, and what it reveals about how they think, feel, and perceive themselves and the world. The more you can make the communication of your idea feel natural to them, the more it will feel like their own, or at least like an acceptable part of their complex of ideas and actions. A lot of magicians aren't much for exploring ideas of psychic contact and interaction. There's a bit of a line there where some people engaged in work with psychism don't cross over to more obvious magic, and some magicians dismiss the idea of psychic phenomena or direct mental influence. I'm not advocating that anyone believe in the ability to read minds or implant thoughts through any sort of direct mental connection. Nor am I advocating that anyone engage in such work. But some spell work we do, some ritual magic we do, does involve influencing or impacting people in ways which would be easier if we addressed how thoughts and ideas and goals work for them. You want a promotion so you do a working for your boss to think of you as the best candidate, but what does that mean to your boss? Does your boss even want the best candidate? What does your boss want or need in the situation? Say you call on an angel to inspire your boss to promote you but the area in which the angel works doesn't fit the job, or doesn't jive with your boss's humors? Say you dress your resume in a magical oil to attract your boss to it, and he reads it a bunch, but he doesn't like it? Understanding the situation and its components will allow you to understand how to shape your work and your goal to be well received by the situation. Maybe your boss has someone in mind for the position, and your work does a great job making your boss think you'd be great for it...but his mind was already made up before you did anything. Maybe the decision isn't your boss's and you don't know that, so you make him think you're a great candidate...but it would've been better to do a working to fill his mouth with sweet words about you so that he makes others think you're a great candidate. Analyzing our goal and doing a working we're comfortable with isn't always enough. Sometimes we have to work in a way which fits a situation, doesn't create new resistance, and avoids existing resistance. Certain political magic that recently made the news was a good example of doing all of that entirely incorrectly, specifically from the angle of creating resistance both from the target and the target's supporters by highlighting the magical act. I don't think the target chosen there was even the best target. In my view, a rather obvious example of working within the situation, feeling familiar instead of foreign, and avoiding resistance would look like this. Say a person of influence was about to make a decision, and part of that person's influence came from the appearance of being a good Christian, and the person's supporters were largely also good Christians. But people fear a choice that person might make. Say that choice, ironically, seems obviously at odds with Christian values and the teachings of Christ. The easy allies to call upon to lead the influential individual to our desired choice are Christ, the Saints, and various holy powers of Christianity...which...have been used in magic since they arrived on the scene. Rather than fighting the idea, or fighting the person, or seeking to curb their power...let Jesus talk them into being a better Christian. What I mean here is, rather than try and force them out of power, or force them to do something they don't believe...make them live the beliefs they claim to hold, because they're already open to that influence. Spirit magic could be used to send inspiration, or simply use a petition paper with a Sacred Heart candle and an intention that Jesus warm their heart towards a more loving and Christ-like decision. This would be a way of working that speaks to the target and bypasses any attempts by prayer warriors to resist. But again, that's just one example of this sort of thinking. In Inception their target had mental constructs built to defend from foreign mental influence and the psychonauts had to finds ways to evade them to achieve their goal. This is something we encounter throughout all areas of life, not just magic. We want something, someone else wants something else, we have to come to a place of compromise, or a place where they decide what we want is what they want, or at least is something comfortable and familiar to them. So take a few steps in your work to bypass roadblocks. Open your work by calling upon the soul or mind of your target and asking them to be open to what you're working or sending them. Or give them some talisman whereby accepting it accepts such influence. Then work in a way which communicates a goal in a manner that they can accept, and that will feel natural to them. Where possible work with spirits and spiritual forces well suited to them, either by character/humor or familiarity. If you enjoyed this please check out more and follow on Facebook. I was doing some work with Hekate recently, asking her to teach me more about herself, and about magic and witchcraft in general. It was interesting that she did not present to me anything I expected in response to me asking. She, instead, told me that I already understood enough about her, for the moment, but I needed to understand why I wanted to learn magic and what I wanted to use it for. I've written before about knowing yourself, figuring out what you're doing and why. I've been in groups where I've been encountered by questions about myself and my goals as tools of initiation. I've been doing magic since I was a small child, studying it since I was about 11 years old, so here, 24 years in, it felt really weird to be asked by a Titan to examine myself and answer what was the point in doing magic. Because of course when a god asks you a question like that, it's not so much being asked a question as much as it is being forced into an immersive mental space where you're confronted with the ideas, and concepts of the questions and your own perceptions. This kind of mental juxtaposition can be useful for opening a student, or ourselves, to truly exploring things beyond our current conceptions. When I get a new student in fencing who has fenced elsewhere this is similar to how I start their first lesson. I'll ask what their favorite fencing move is, and what technique they are best at, and what they're worst at. A lot of time our favorite thing and our best thing are different, even if we assume they're the same, and sometimes our worst thing is not as bad as we expect. Frequently once we start the lesson we start to unravel their perception about their relationship with these actions. We find the good things in what they thought they were bad at, the bad things in what they thought they were good at, and what about the thing they like best makes it their favorite and how we can make it better. This helps a student gain confidence as they begin with a new teacher because it shows them value in the teacher's ability to probe and develop. It also shows us that we have things we need to learn even in the areas where we thought we were solid. This can be important for magic too. Sometimes we kind of coast through, reading books because they seem like they're cool topics. Doing rote rituals because we were told do them. Pray prayers because the words should reach out to things we think we'll want to connect with. Purpose helps make all of this more meaningful. And when we explore our purpose sometimes we have to realize the purpose we thought we had isn't real, or at least, isn't the ultimate purpose. We might say we want to do magic to learn to talk with spiritual forces, but why do we want to talk with them? We want to learn things from them, but what do we want to do with that knowledge? Maybe we want to understand the hidden workings of the universe, but beyond reflecting on its beauty what do we intend to do with that? We might say we want it to make change in the world, but what changes do we want to make? Why do we want to make them? What do we want to do after we've made them? We might want to develop ourselves, make ourselves better, more complete? But do we do it to become more powerful? What do we do with that power? Do we do it to heal ourselves, and make ourselves more complete humans? What do we do with our more complete selves? Do we want to ascend and become saints in the heavens? What will we do from that vantage? That paragraph was bad writing...but it illustrates a point which is much more easily explored through active immersion in the question. Any end we consider may be taken further, because our experience is not so finite as the end we think we are seeking. Why are we seeking that end, what is its more ultimate expression? We have to deeply know ourselves, and deeply know our work in order to explore further and truly understand. Once we understand, it can open us up to a different sort of power and a different sort of development. One where through understanding ourselves and our relationship to magic more deeply we can hone in on how we're using it, and why, and what we're learning. One where we stop hampering ourselves through the falsity, or at least incomplete nature, of our assumptions. Today is, as you probably already know, St. Patrick's Day, so, Lá Fhéile Pádraig Sona. I'm not a fan of wearing green plastic, or hanging out with cups of green beer, and Padraig doesn't fit into the Saints with whom I work in my ancestral work. So I didn't have any thought towards posting for St. Patrick's day. But yesterday I saw Rune Soup had posted a link to some resources on faeries, and today a Tata I know posted another faery article, and they caught my eye as faery work is something I've been researching a good bit lately. So far I've collected multiple grimoire sources spanning about 800 years and representing about four or five countries, not counting some of the folk and grimoire examples which may or may not be about faeries (like in in Cyprian). Then there are the witchcraft examples which seem to bridge between the traditional faery lore and the ceremonial magic forms. When I'm through some other projects I'll be putting out some material on faeries in traditional ceremonial and grimoire magic, and eventually I intend to look at the transition and relationship between the traditional cultural sources and the later magical ones. For now though...posts about other stuff...hopefully slowed down by writing some non-blog stuff too. But since there was some other faery stuff that popped up, I figured I'd share one of the faery myths I've enjoyed since I was a kid. Here is a translation of it by Kuno Meyer. Another source that I find useful for myths of interaction with faeries, which gives some discussion of how people initiated interaction if The Tales of the Elders of Ireland. Pretty different than the witchcraft and the magical sources, still a good read. Anyway I hope you enjoy your St. Patrick's Day and the story of Nera. Great was the darkness of that night and its horror, and demons would appear on that night always. Each man of them went out in turn to try that night, and quickly would he come back into the house. ‘I will have the prize from thee’, said Nera, ‘and I shall go out. Truly thou shalt have this my gold-hilted sword here’, said Ailill. Then this Nera went out towards the captives, and put good armour on him. He put a withe round the foot of one of the two captives. Thrice it sprang off again. Then the captive said to him, unless he put a proper peg on it, though he be at it till the morrow, he would not fix his own peg on it. Then Nera put a proper peg on it. Said the captive from the gallows to Nera: ‘That is manly, O Nera!’ ‘Manly indeed!’ said Nera. ‘By the truth of thy valour, take me on thy neck, that I may get a drink with thee. I was very thirsty when I was hanged.’ ‘Come on my neck then!’ said Nera. So he went on his neck. ‘Whither shall I carry thee?’ said Nera. ‘To the house which is near­est to us , said the captive. So they went to that house. Then they saw something. A lake of fire round that house. ‘There is no drink for us in this house’, said the captive. ‘There is no fire without sparing in it ever. Let us therefore go to the other house, which is nearest to us’, said the captive. They went to it then and saw a lake of water around it. ‘Do not go to that house!’ said the captive. There is never a washing- nor a bathing-tub, nor a slop-pail in it at night after sleeping. ‘Let us still go to the other house’, said the captive. ‘Now there is my drink in this house’, said the captive. He let him down on the floor. He went into the house. There were tubs for washing and bathing in it, and a drink in either of them. Also a slop-pail on the floor of the house. He then drinks a draught of either of them and scatters the last sip from his lips at the faces of the people that were in the house, so that they all died. Henceforth it is not good [to havel either a tub for washing or bathing, or a fire without sparing, or a slop-pail in a house after sleeping. Thereupon he carried him back to his torture, and Nera returned to Cruachan. Then be saw something. The dun was burnt before him, and he beheld a heap of heads of their people [cut off] by the warriors from the dun. He went after the host then into the cave of Cruachan. ‘A man on the track here!’ said the last man to Nera. ‘The heavier is the track’, said his comrade to him, and each man said that word to his mate from the last man to the first man. Thereupon they reached the sid of Cruachan and went into it. Then the heads were displayed to the king in the sid. ‘What shall be done to the man that came with you?’ said one of them. ‘Let him come hither, that I may speak with him’, said the king. Then Nera came to them and the king said to him: ‘What brought thee with the warriors into the sid?’ said the king to him. ‘I came in the company of thy host’, said Nera. ‘Go now to yon­der house’, said the king. ‘There is a single woman there, who will make thee welcome. Tell her it is from me thou art sent to her, and come every day to this house with a burden of firewood’. Then he did as he was told. The woman bade him welcome and said: ‘Welcome to thee, if it is the king that sent thee hither’. ‘It is he, truly’, said Nera. Every day Nera used to go with a burden of fire­wood to the dun. He saw every day a blind man and a lame man on his neck coming out of the dun before him. They would go until they were at the brink of a well before the dun. ‘Is it there?’ said the blind man. ‘It is indeed’, said the lame one. ‘Let us go away’, said the lame man. Nera then asked the woman about this. ‘Why do the blind and the lame man visit the well?’ ‘They visit the crown, which is in the well’, said the woman, ‘viz, a diadem of gold, which the king wears on his head, It is there it is kept’. ‘Why do those two go?’ said Nera. ‘Not hard to tell’, said she, ‘because it is they that are trusted by the king to visit the crown.’ ‘One of them was blinded, the other lamed’. ‘Come hither a little’, said Nera to his wife, ‘that thou mayst tell me of my adventures now’. ‘What has appeared to thee?’ said the woman. ‘Not hard to tell’, said Nera. ‘When I was going into the sid, methought the rath of Cruachan was destroyed and Ailill and Medb with their whole household had fallen in it’. ‘That is not true indeed’, said the woman, ‘but an elfin host came to thee. That will come true’, said she, unless he would reveal it to his friends. ‘How shall I give warning to my people?’ said Nera. ‘Rise and go to them’, said she. ‘They are still round the same cauldron and the charge has not yet been removed from the fire.’ Yet it had seemed to him three days and three nights since he had been in the sid. ‘Tell them to be on their guard at Halloween coming, unless they come to destroy the sid. For I will promise them this: the sid to be destroyed by Ailill and Medb, and the crown of Briun to be carried off by them’. ‘How will it be believed of me, that I have gone into the sid?’ said Nera. ‘Take fruits of summer with thee’, said the woman. ‘Then he took wild garlic with him and primrose and golden fern. And I shall be pregnant by thee’, said she ‘and shall bear thee a son. And send a message from thee to the sid, when thy people will come to destroy the sid, that thou mayest take thy family and thy cattle from the sid’. Thereupon Nera went to his people, and found them around the same caldron; and he related his adventures to them. And then his sword was given to him, and he staid with his people to the end of a year. That was the very year, in which Fergus mac Roich came as an exile from the land of Ulster to Ailill and Medb to Cruachan. ‘Thy appointment has come, oh Nera’, said Ailill to Nera. ‘Arise and bring thy people and thy cattle from the sid, that we may go to destroy the sid’. Then Nera went to his wife in the sid, and she bade him welcome. ‘Arise out to the dun now’, said the woman to Nera, ‘and take a bur­den of firewood with thee. I have gone to it for a whole year with a burden of firewood on my neck every day in thy stead, and I said thou wert in sickness. And there is also thy son yonder’. Then he went out to the dun and carried a burden of firewood with him on his neck. ‘Welcome alive from the sickness in which thou wast!’ said the king. ‘I am displeased that the woman should sleep with thee without ask­ing’. ‘Thy will shall be done about this’, said Nera. ‘It will not be hard for thee’, said the king. He went back to his house. ‘Now tend thy kine today!’ said the woman. ‘I gave a cow of them to thy son at once after his birth’. So Nera went with his cattle that day. Then while he was asleep the Morrigan took the cow of his son, and the Donn of Cualgne bulled her in the east in Cualgne. She [the Morrigan] then went again westward with her cow. Cuchulaind over­took them in the plain of Murthemne as they passed across it. For it was one of Cuchulaind’s gessa that even a woman should leave his land without his knowledge. [It was one of his gessa that birds should feed on his land, unless they left something with him. It was one of his gessa that fish should be in the bays, unless they fell by him. It was one of his gessa that warriors of another tribe should be in his land without his challenging them, before morning, if they came at night, or before night, if they came in the day. Every maiden and every single woman that was in Ulster, they were in his ward till they were ordained for husbands. These are the gessa of Cuchulaindl. Cuchulaind overtook the Morrigan with her cow, and he said: ‘This cow must not be taken’. Nera went back then to his house with his kine in the evening. ‘The cow of my son is missing’, said he. ‘I did not deserve that thou shouldst go and tend kine in that way’, said his wife to him, On that came the cow. ‘A wonder now! Whence does this cow come?’ ‘Truly, she comes from Cualgne, after being bulled by the Donn of Cualgne’, said the woman. ‘Rise out now, lest thy warriors come’, she said. ‘This host cannot go for a year till Halloween next. They will come on Halloween next: for the fairy-mounds of Erinn are always opened about Halloween’. the young son of the bull from Loch Laig. through this calf of Aingene. Then the bull calf and the Whitehorn meet in the plain of Cruachan. A night and a day they were there fighting, until at last the bull calf was beaten. Then the bull calf bellowed when it was beaten. ‘What did the calf bellow?’ Medb asked of her neat-herd, whose name was Buaigle. ‘I know that, my good father Fergus’, said Bricriu, ‘it is the strain which thou sangest in the morning’. On that Fergus glanced aside and struck with his fist at Bricriu’s head, so that the five men of the draft-board that were in his hand, went into Bricriu’s head, and it was a lasting hurt to him. ‘Tell me, O Buaigle, what did the bull say?’ said Medb. ‘Truly, it said’, answered Buaigle, ‘if its father came to tight with it, viz, the Donn of Cualgne, it would not be seen in Ai, and it would be beaten throughout the whole plain of Ai on every side’. 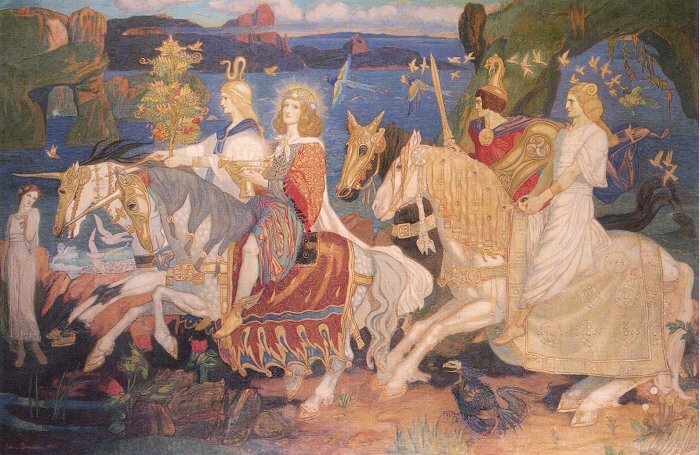 Then said Medb in the manner of an oath: ‘I swear by the gods that my people swear by, that I shall not lie down, nor sleep on down or flockbed, nor shall I drink butter-milk nor nurse my side, nor drink red ale nor white, nor shall I taste food, until I see those two kine fighting before my face. In my post yesterday on Lent I spoke about the unique moments of the Pascal season which provide liturgically significant times for spiritual work involved in connecting to the Holy Guardian Angel, and to The Beloved. The Angel runs parallel to the Prince of the Presence, who in early Jewish mystical systems was the angel charged with functioning as the apparition of God, and also as a guide forward into the higher realms of creation and unto the Palaces of the Divine Throne room. Along this path the angel also taught seals, passwords and invocations which gave access to the heavens and the spirits who resides therein along with their magical secrets. 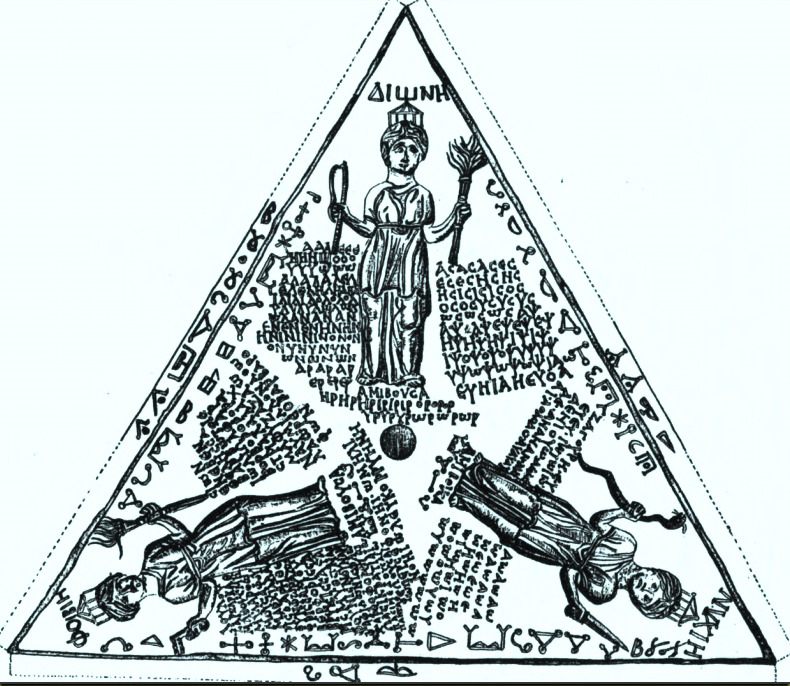 For Abraham the Jew the function of the Angel was to teach the Sacred Magic and guide the magician in his magical endeavors, as well as to function as both an intermediary and a thwarting angel who singularly brought all demons within the purview of the magician's control. In modern magic the angel is our guide, our source of power and authority and our connection to divinity. Often people think of Knowledge and Conversation, or the Abramelin working, or Liber Samekh as the magic the angel relates to, but the angel is a part of our daily life and experience as a magician. 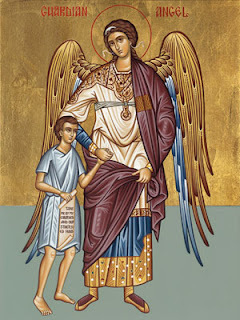 Even for those who have not made firm committed contact with their angels, it is advisable to seek routine communion with the angel even from the beginning of one's magical career. If you have this communion already it becomes easier for the angel to guide you in determining if and when and how you should seek to make firmer your connection. There is a lot of material in both magical and religious tradition which can be used for working with the angel. We've talked about some of it in posts here before, and we'll continue to do so. Since we took a stop into Catholic territory to discuss Lent I figured we could also look at a short simple prayer to the Guardian Angel from the Raccolta. TheRaccolta is a collection of traditional Roman Catholic prayers which have been granted various “indulgences” by Popes. Essentially these are prayers which have been given added institutional power, a sort of official magic, which is supposed to add to their spiritual effect. Personally I think this is pretty cool. There are a lot of prayers in it which won't be of particular interest or use for the magician, but there are a lot which can be used in work with the Saints, the Dead, and of course the Angel. So for a magician working with these spirits this is a pretty awesome collection to explore because these are prayers which carry weight within the spiritual traditions connected to some of these spirits. “112. "ANGEL OF GOD," ETC. I have included in our quotation the indulgence info just as an example. The prayer could easily be said at the outset of the day, or before leaving for some task. It could be incorporated into a sort of rosary or used as a chanted prayer for meditation to connect with the angel. 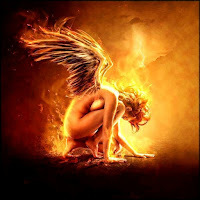 It is short enough to be memorized and could be used as a quick recitation to center oneself on the connection to the angel when the events of the day set you off center. Adding a lamp or candle consecrated to the angel as a point of focus can be useful when praying such prayers. Anointing with Abramelin oil, or with an ash like that described yesterday can be another good material way to connect with the angel during such a prayer. Novena candles for the Guardian Angel or for the Holy Spirit, possibly combined with prayers on petition papers could draw a more magical focus to either building the connection or connecting the prayer into a magical petition to the angel. I've had a bit of an interruption in my "American Gods" series of posts because of some work deadlines, but will be back to those soon. In the mean time, Lent is a really big deal to me, so I wanted to make an Ash Wednesday post. I would have liked to have made it yesterday...but...time keeps on slipping, into the future. Some people might wonder why Lent and Ash Wednesday would be exciting to a magician, but since I've had OTO friends literally suggest that I'm a crypto-Catholic it probably isn't too surprising. I like grimoires, and I like the pre-Reformation grimoires, I like studying Catholic liturgics and Sacraments to deepen my understanding of the grimoire practice as well as my work as a Gnostic Catholic Priest. But I find this time of year to be one of the most exciting for a deeper reason than the appeal of traditional Catholic aesthetics. It is a time steeped in the Mysteries, in the sacramental theology and a Gnostic soteriology, so deeply that as a mystic, a Priest, and a magician I can't help but be excited by it. It isn't a time of penitent contrition but one of anticipating Triumph. Which in my thinking is very Thelemic on its own, but when we explore this Triumph it gets even better. Lent anticipates not just Christ's Triumph over death but our Triumph by way of participation in his death and resurrection. We experience the Mystery of the resurrection and likewise become an initiate who has conquered death. The whole Lenten season is steeped in the act of embodying the Passion within the experience of the people. The connection to the Passion Death and Resurrection is subtly built in the people every time they take the Eucharist - just as ours builds within us the sacred marriage of Earth and Heaven and with it communion with the angel; but Lent steps up the experience by immersing the people in reflection through the Stations of the Cross. Triumphing over Death. This is central in most contemporary Mystery Traditions. 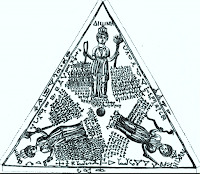 The Wica explore this in the Descent of the Goddess, the Masons in the story of Hiram Abiff, the OTO in...well...I'll just say it's public knowledge that our Master Magicians explore the mysteries of death. This is such an important element of the Mysteries that we see it all throughout Europe and the Near East going back at least 3000 years. But, we're not just conquering Death, with Life, we're conquering Falsehood with Truth. Liber AL tells us death is a lie. The Mysteries expose for us that we are the same light as the source, and death is not the submission of that light to darkness but rather the revelation of that light as it rejoins eternity. This idea touches both on the sacramental ideal f Ash Wednesday and the Gnostic soteriology of Easter Saturday. Ash Wednesday is the beginning of a sort of alchemy. The ash in a traditional context is made from Palm leaves saved from Palm Sunday. This is often interpreted as wearing the ashes of penance while recalling the impending victory of Palm Sunday and the Triumphal entry into Jerusalem. But Palm Sunday isn't Victory. It is a Pseudo-Thronosis, or false enthroning - a common act in initiatory passion plays. In these rituals the initiate is elevated and perceives success but the success isn't real. Being caught up in that falsehood we miss the reality of our situation and get caught in the snares and traps of life, but if we dig deep beyond the appearance of darkness and difficulty we can find that truth remains. At Ash Wednesday we burn the Palms; we burn the falsehood. In alchemy one of the first phases is calcination or burning the material to ash. For the alchemist that which burns away is the dross, the false material that that hides the valued and true components of the material. That which is true survives fire, that which is false can not endure. From a Gnostic and sacramental perspective this gives us an interesting liturgical moment from which to work. In the RCC Penance is one of the seven Sacraments. Tau Apiryon has said that the EGC equivalent of this is Will. I personally interpret this to mean that rather than seeking forgiveness we assess our shortcomings, our failures...the falsehoods which hold onto us and prevent us from succeeding at knowing truth and expressing that truth by doing our Wills. This flips the idea of penance on its head and instead of finding fault we find strength. We recognize that we aren't just our actions and instead of crapping on ourselves for not being perfect we can recognize our potential, we can seek divine inspiration, we can commit to being awesome. Ritually I've applied this idea by writing a confession, not of sins but of ways I haven't committed to the Work and to my success. I've then burned the confession. Once the confession is burned I make prayers to my angel and reconstitute the "salt" or the ash of the confession with the "sulfur" or "soul" using Abramelin Oil. So my ash doesn't just have ash, but like Chrism it has fire. This confession first played out for me while doing the Abramelin Working, which contains a confession and wearing of ash. This idea of confessing to falling short of the Work seemed a fitting way to work on committing to it. From there, reflections on Ash Wednesday and Lent led to this association between the act and the season. It is of course something you can do at any time, and I personally keep my "angel ash" around as a means to connect with my angel through material imposition. It is a very refreshing meditative and spiritual practice. This connection to the angel brings me to my last part, the Gnostic soteriology. Soteriology is a theology or doctrine of salvation. In traditional Christianity Christ replaces the sacrifice and becomes the scapegoat. He takes on our sins and as a result, unlike the goat who is taken by the spirits of the wilderness, he descends to Hell weighed down by our sins, but he conquers Satan and Death and rises again so that our sin no longer has the power of death, since sin is what lead to death originally in Eden. He transforms the game by being awesome for us so that we can ride along and get into heaven based on his awesomeness. There are some interesting ideas at play here, but I don't want to get into most of them. From a Gnostic perspective it works a little differently. "(13) Jesus said to his disciples, "Compare me to someone and tell me whom I am like." Thomas said to them, "If I tell you one of the things which he told me, you will pick up stones and throw them at me; a fire will come out of the stones and burn you up."" "(108) Jesus said, "He who will drink from my mouth will become like me. I myself shall become he, and the things that are hidden will be revealed to him."" "(50) Jesus said, "If they say to you, 'Where did you come from? ', say to them, 'We came from the light, the place where the light came into being on its own accord and established itself and became manifest through their image.' If they say to you, 'Is it you? ', say, 'We are its children, we are the elect of the living father.' If they ask you, 'What is the sign of your father in you? ', say to them, 'It is movement and repose.'"" Jesus compares his teachings to a bubbling stream of which his followers may drink and become drunk thereof if they truly understand, as does Thomas. He elaborates that there is no difference between himself and the one who carries his spirit by becoming drunk on his teachings. He further elaborates that the Father is the Light that established itself of its own volition, that man is a child of this light and as a child has the light in him and that this presence of the light is what makes man living. This presence of the light is likewise the basis of the teachings of the Word. Jesus stresses in many other instances understanding the living and the dead, and the relationship between the living and the dead and that one should not focus simply on the dead but appreciate the living Word which is before them, and which is the message they take in in order to become living themselves. A steady theme is the overlapping equation of Jesus, his message, life, and the Father. Each part in some way relates to another. But ultimately salvation for the Gnostic is not being saved by the act of another, salvation is recognizing death, seeking life through that recognition, and coming alive by embodying the Word and therefore becoming the same as the Word and therefore an expression of the Father. Salvation is the knowledge that we may uncover Truth and conquer death. In modern magic a key component of this is developing a relationship with the Holy Guardian Angel. In some ways Jesus's experience in the desert, like Moses's experience on Mt. Horeb, has a lot of similarity to encountering one's Holy Guardian Angel. Jesus continues this exploration further in the Pascal narrative with the Gethsemane. Jesus slowly uncovers and accepts his Will even if there are moments which are blinding flashes, not unlike the experience of a mystic or magician. Much of Lent suits itself to communing with the Holy Guardian Angel, which would reflect the Pentacostal imagery of initiation and the reception of the Holy Spirit, it is similarly hinted at in Christ's baptism, and of course his struggles in the desert and at Gethsemane to understand and accept who he is and what his calling is. But outside of the mythos, the ritual narrative plays this out for us as well. We burn away what we aren't as we seek to commit to what we are. This is the commitment we make when we seek the angel ardently for the purpose of making a firm commitment to on going communion. The angel speaks to us, and pours out the bubbling stream which changes and anoints us. The angel leads us through our Gethsemane moments, to Triumph through our own Golgatha and understand the light within ourselves. Ultimately this is the crowning moment of Lent. Not the joy of the resurrection, but the dark moment in which man can lose himself to distraction and terror or in which he can know that he is a child of the Light and that the light resides within him and is with him even in those moments in which we are most alone. As Jesus dies the veil of the Holy of Holies is torn asunder. The imagery calls to mind the leader of the Sanhedrin tearing his garments in protest as if God angrily shakes his temple and tears apart a symbol of His sacred presence in protest of his son's death. But this isn't what's happening at all. The veil kept people away from the adytum. The people couldn't directly experience God. But God became a man. In fact, God became man so hard that he died, an excruciating death, full of embarrassment, shame, fear, pain, and sin...so...much...sin, that you couldn't ever imagine having the weight of guilt, anxiety, self doubt, and confusion that God experienced. In that moment of death God is so infinitely human that the entirety of the experience of God is held within the experience of Man. God is ultimately alone in the darkness in a way which is the opposite of his infinite nature (which is likewise alone in the darkness), Which is what we are by virtue of being human. But here we see the divinity in that experience because here, for a moment, God is drawn into the lowest expression of our existence and therefore is closer to us than any other time. In a Liturgical sense the Roman Catholic Church recognizes this as the death of the Church. It is often explained that since Jesus is dead, and the Church exists as his Bride than she has no existence in that time that he is in Hell. But more than the Bride of Christ, the Church is an intermediary between Man and Christ, between Man and God. The intermediary dies because God is so deep in the muck with us that there is nothing to mediate anymore. We're there together alone in the darkness, and we just have to open up and realize the Light. We have to burn the Palms.